Participants commented on the diversity of the SJW ShabbatUK programme when they praised the various events run, including the large Challah Make for ladies and girls and a lively Havdalah concert that was joint with the nearby Spanish & Portuguese Synagogue. Like other communities they decided to lay on a deluxe, themed Kiddush after the Friday night service – this time a Scotch & Chicken Soup one – where everyone enjoyed mingling and an uplifting service. This set the tone for the rest of ShabbatUK. Attendees enjoyed hearing from Orthodox Jewish singer Alex Clare, who spoke about his career in music and its intersection with his Jewish identity. 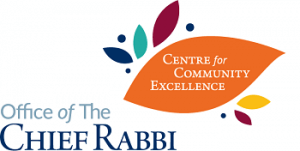 “Our ShabbatUK activities were exceedingly well received. The guest speaker was “on topic” and attracted youth and older members of the community. There was a superb atmosphere over the whole of Shabbat and it was brilliant to see cooperation between the various communities in the neighbourhood”. “There was a real sense of feeling united as a community. It felt special knowing that we are celebrating with so many Jews around the world”. “I met a lot of nice people and spend a really nice Shabbat with other Jews from all over the world”. “I really enjoyed the Friday night- the service was beautiful, there was a big crowd and a great atmosphere, and the sushi, scotch and soup kiddush afterwards worked really well. It was relaxed, enjoyable and very sociable”. “I enjoyed the whole Shabbat very much! I thought the diversity of the programme on offer was very good”. “The event at SJWS was fantastic. There was a great atmosphere on Friday night and also on Shabbat morning. Alex Clare’s story is inspirational and makes us think of what else each of us can do to make Shabbat more special in our lives”. Our ShabbatUK began on the Wednesday with a Young Adult Challa make at Rabbi and Rebbetzen Golker’s home. Over 35 young adults had an unforgettable night People were inspired and enthused and it really could not have gone better. On Friday night we had a joint service with Saatchi and Anshei Shalom communities followed by Sushi and Whisky kiddush. Our extraordinary scholar in residence spoke and certainly got everyone in the mood. For the rest of the day we had the incredible Shabbat UK lounge where over 100 people stayed for the entire day observing Shabbat together. We converted a hall in to a lounge with sofa’s and coffee tables and board games and table tennis and there was an electric atmosphere. We concluded Shabbat with a magnificent Seudat Shlishit where we had over 250 people who were addressed by Rabbi Joseph Dweck, and finally Shabbat concluded with a musical Havdallah led by Yossi Binstock. It created community cohesion. People came together to pray/eat and celebrate shabbat. It also allowed many many people to observe Shabbat and enjoy it together. The Scholar in Residence was incredibly popular.